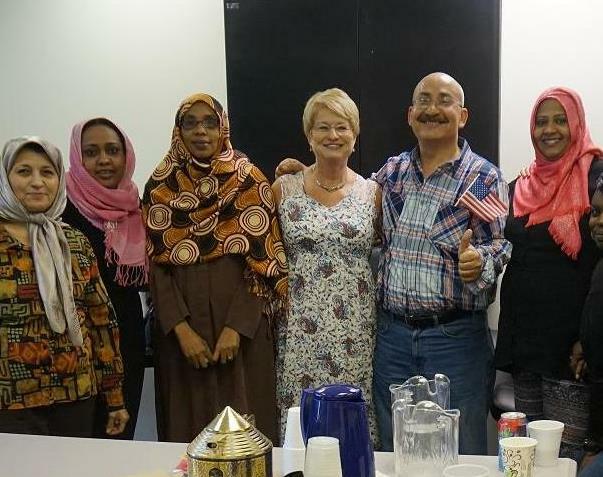 Cornerstones offers a free American Citizenship Class designed to help students pass their American Citizenship exam, improve their English speaking, listening, reading, and writing skills. Students also learn about civics, organizational skills, time management, working with other cultures and trust building. 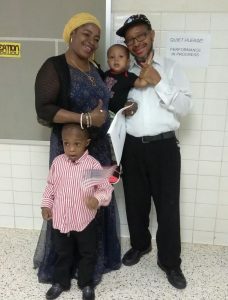 Becoming citizens helps the students on their journey toward self-sufficiency, including access to better employment and benefits like health insurance. The program creates a feeling of community within the classroom, where students from diverse backgrounds can work together in a supportive learning environment. Through their participation in the class, the students have increased their self-confidence and learned team-building skills as they support one another throughout the citizenship application process. Abdul and Hawanatu, husband and wife with their son and grandson at Hawanatu’s American citizenship swearing in ceremony. To date, 174 students from 31 countries have become citizens because of Cornerstones’ American citizenship program. The 31 countries are: Afghanistan, Bangladesh, Bolivia, Egypt, El Salvador, England, Eritrea, Ethiopia, Georgia, Ghana, Guatemala, Honduras, Israel/Palestine, India, Iran, Iraq, Ivory Coast, Lebanon, Mauritius, Morocco, Nepal, Pakistan, Panama, Peru, Saudi Arabia, Sierra Leone, Somalia, South Korea, Sudan, Syria and Vietnam. Gillian Sescoe was a federal employee who spent much of her career immersed in numerous cultures overseas serving her country. Herself a naturalized citizen, Gillian is equal parts cheerleader, teacher, confidante, and cultural liaison. Gillian works tirelessly to assist her students in overcoming linguistic, cultural, financial and even transportation barriers so they are able to attend the class. 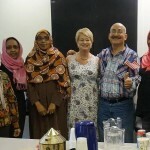 Under her tutelage, participants improve their level of English competency while learning the necessary information to successfully complete the naturalization test. 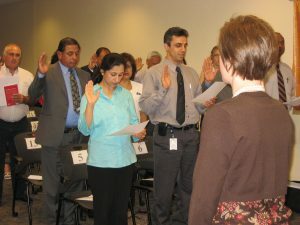 “The citizenship class offered by Gillian Sescoe is one of the most impactful services we offer at Cornerstones. Beyond preparing students to take the citizenship test, Gillian also mentors and links students to additional resources to mitigate some of the other challenges they face in their lives. Students respond well to the coaching and support she provides. I personally admire her dedication and her unrelenting compassion for her students and feel extremely lucky to have her as a Cornerstones volunteer.” Greg White, Chief Operating Officer, Cornerstones.